Positive Train Control (PTC) installed on Amtrak’s Point Defiance Bypass, may resume use soon. “The Washington State Department of Transportation on Monday announced two milestones that signal that passenger rail service on the Point Defiance Bypass could resume soon. Service had been suspended after a December 2017 derailment on the bypass. World’s recession may stunt Trump’s economic growth – Bonds went into inverted yield last Friday, a sign of gathering storm-clouds! “Stocks dropped on Friday [March 22] as investors worried global economic growth could slow down following the Federal Reserve’s cautious outlook from earlier in the week and weak overseas data. 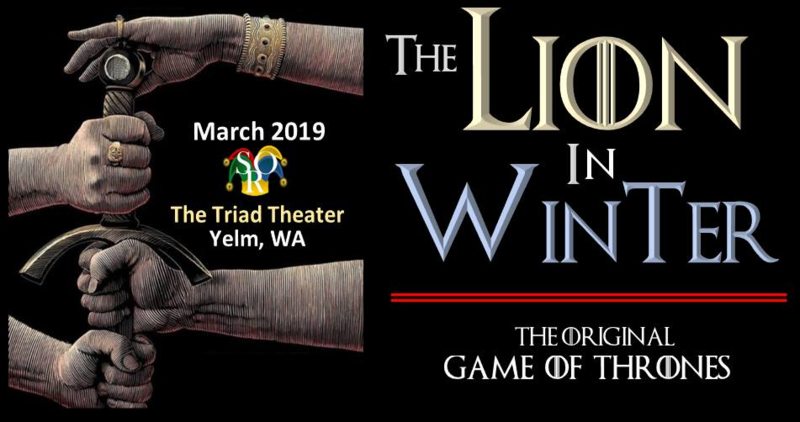 Be sure to add the Yelm performance of The Lion in Winter to your weekend plans! “Over the past several decades, fishermen, business owners, Alaska Native organizations and environmental groups have protested a proposed open-pit copper and gold mine at the headwaters of Bristol Bay — a pristine salmon habitat. “Now the federal government is inching toward approving the mining project. “Nestled in southwest Alaska, Bristol Bay is home to the world’s largest wild salmon run. The watershed supports a teeming ecosystem of eagles, grizzlies and beluga whales. It’s also an economic engine for the Pacific Northwest. Each year, the fishery contributes thousands of seasonal fishing and processing jobs and millions of dollars in economic activity to Washington, Oregon, and California, according to the University of Alaska Institute of Social and Economic Research,” by Julianna Rennie in The Olympian. “President Trump and his Department of Energy are attempting to drastically weaken common-sense energy efficiency standards for light bulbs and appliances — cuts that will cost consumers billions while driving millions of tons of additional carbon pollution per year. Recycling options may be coming to an end. What you can do – 11 recycling tips. 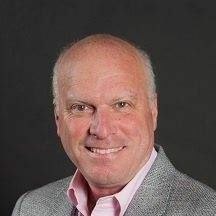 Editor’s note: China stopped accepting for import America’s recycling items because of President Trump’s imposed tariff policies. “For decades, we were sending the bulk of our recycling to China — tons and tons of it, sent over on ships to be made into goods such as shoes and bags and new plastic products. But last year, the country restricted imports of certain recyclables, including mixed paper — magazines, office paper, junk mail — and most plastics. Waste-management companies across the country are telling towns, cities, and counties that there is no longer a market for their recycling. These municipalities have two choices: pay much higher rates to get rid of recycling, or throw it all away. “Do you recycle? If you do, the tips in this article will help you do it better, and if you don’t, why not make it a point to start this year, armed with the essential do’s and don’ts? Commercial air service began last week at Everett’s Paine Field – a study is underway of other area airports like Olympia’s. “More regional airports studied as Washington eyes population growth” Could Olympia attract commercial air service? Editor’s note: Olympia Regional Airport’s main runway length can only handle regional commercial air service at present. “What about a new scheduled jet service in Kitsap County, Tacoma, or Olympia? What about a cargo facility, or more room to build airplane parts for the region’s aerospace manufacturing base? “The answer to those specific questions may be years away, but a study to figure out the basics of what’s needed is currently underway. While you weren’t looking last week – President Trump ended release of civilian drone deaths, while his budget deficit rose 77%, record high debt continues rising! Editor’s note: Why is this country killing civilians in a non-declared war zone and why is Trump not going to allow the statistics on drone strikes and deaths, anathema in this democracy? This “Imperial President” provides no public transparency? This is sad! “The Republican leader signed his own executive order to nullify the practice mandated in 2016 by former President Barack Obama, who greatly expanded the U.S. military’s drone warfare across Africa and the Middle East, as well as other parts of Asia. Trump’s predecessor argued the move would provide more transparency to a shadowy campaign often criticized for operating within legal gray zones as part of the larger war on terror launched in the wake of 9/11. Editor’s note: Trump’s economy is slowing ahead of 2020 as national debt mounts! Recall in 2016 he originally said he would eliminate the debt? He also promised to eliminate the budget deficits. This President does not have the mind or will to trim his budget! Tax revenues were lower following the new tax cuts, with corporate payments down 23 percent. “The U.S. national debt has topped $22 trillion for the first time in history, according to daily figures released by the Treasury Department on Tuesday [Feb. 12]. “The debt has ballooned by more than $2 trillion in the two years since President Trump took office in January 2017, when the debt stood at $19.9 trillion. It surpassed $21 trillion for the first time in history in March 2018. Under the Obama administration, the national debt grew from $10.6 trillion to $19.9 trillion, an increase that drew sharps criticism from Republicans,” by Kathryn Watson, CBS News. 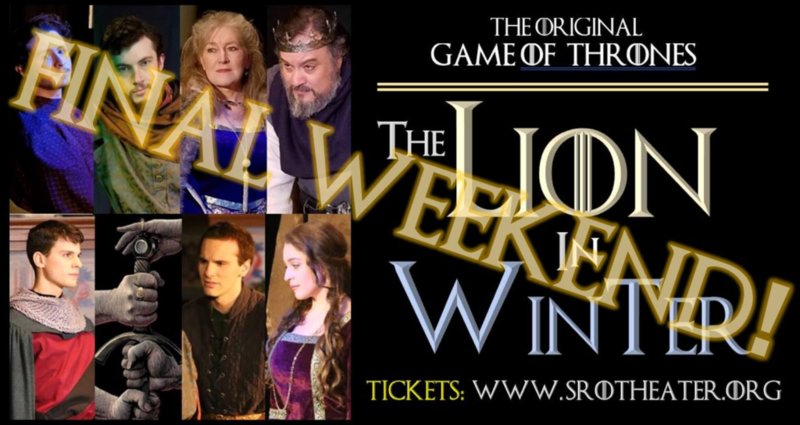 A Review: The Lion in Winter (A Play) debuts at The Triad. SRO raises their high bar even further! Don’t miss this show – weekends through March 31st. Click here to pre-purchase tickets online. “Set in Castle Chinon, in France, in the year 1183, “The Lion in Winter” is a brilliantly written play of intrigue, suspense and strategic <one-ups-man-ship> “one-upsmanship” between the members of a royal family over Christmas weekend. “Based on the historically factual family of King Henry II, the play imagines the conversations, alliances, threats and bargains that occur as Henry’s three sons position themselves to succeed their father to become the next King of England. The dialogue is sharp and taut, the drama is intense with sudden unexpected bursts of comedy, and the characters are delightfully devious. “It is the ORIGINAL ‘Game of Thrones’. “‘The Lion in Winter’ has been made into two movies – one of them winning several academy awards in 1968 (starring Peter O’Toole, Katherine Hepburn, Anthony Hopkins and Timothy Dalton).